Below you will find resources and curriculae specially crafted for the Museums' temporary exhibtions. These special exhibition resources include study images and themes, pre-visit activities, lesson plans and more all in alignment with California State Standards. This exhibition concentrates on the final phase of Monet’s career, from 1913 to his death in 1926. Inspired by the diverse and changeable environment of his garden at Giverny, France, Monet made increasingly bold studies of natural phenomena that led him, in his late canvases, to cross a stylistic threshold into abstraction. In the first exhibition at the Fine Arts Museums dedicated to the work of Paul Gauguin (1848–1903), an exceptional display of more than fifty Gauguin paintings, wood carvings, and ceramics from the renowned collections of the Ny Carlsberg Glyptotek, Copenhagen, will be on view for the first time in San Francisco. This exhibition explores the cultural and material exchanges between India and Europe through jewelry and precious objects ranging from the seventeenth century to the present. It features more than 150 pieces made in India or Europe associated with Mughal emperors, maharajas, and their courts. This marks the first major museum exhibition to explore the complex, diverse nature of Muslim dress codes worldwide through high-end fashions, streetwear, sportswear, and commissioned garments from both emerging and established designers. Assembled here is information about the exhibition that you can use to plan your students’ experiences. The first major international loan exhibition to assemble works of art by members of England’s nineteenth-century Pre-Raphaelite Brotherhood with the early Italian, Netherlandish, and German art that inspired them. Assembled here is information about the exhibition that you can use to plan your students’ experiences. This exhibition reveals the tensions and ambivalences about industrialization expressed through Precisionism--a style that emerged in America in the teens and flourished during the 1920s and 1930s—and offers a particularly fascinating and relevant perspective to our contemporary life. This explores the eighteenth century across Europe through the eyes of one of its most colorful characters, Giacomo Casanova (1725–1798). Gathering together paintings, sculpture, works on paper, furnishings, porcelain, silver, and period costume, The Seduction of Europe will bring the visual wealth of Casanova’s world to life. Assembled here is information about the exhibition that you can use to plan your students’ experiences. 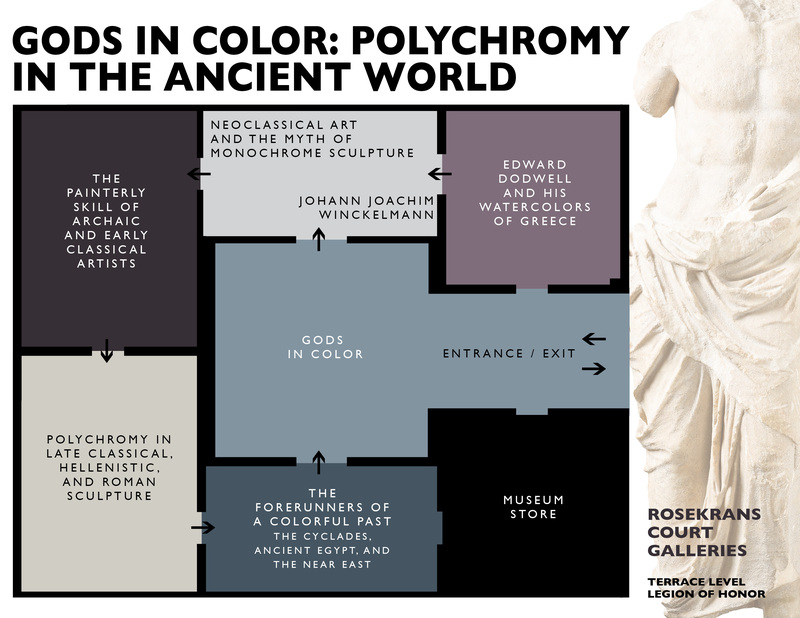 This exhibition offers an astonishing look at Classical sculpture swathed in their original vibrant colors questioning the perception of an all-white “classical” ideal. Ancient sculpture and architecture is revealed as intended – garishly colorful, richly ornamented, and full of life. Assembled here is information about the exhibition that you can use to plan your students’ experiences. 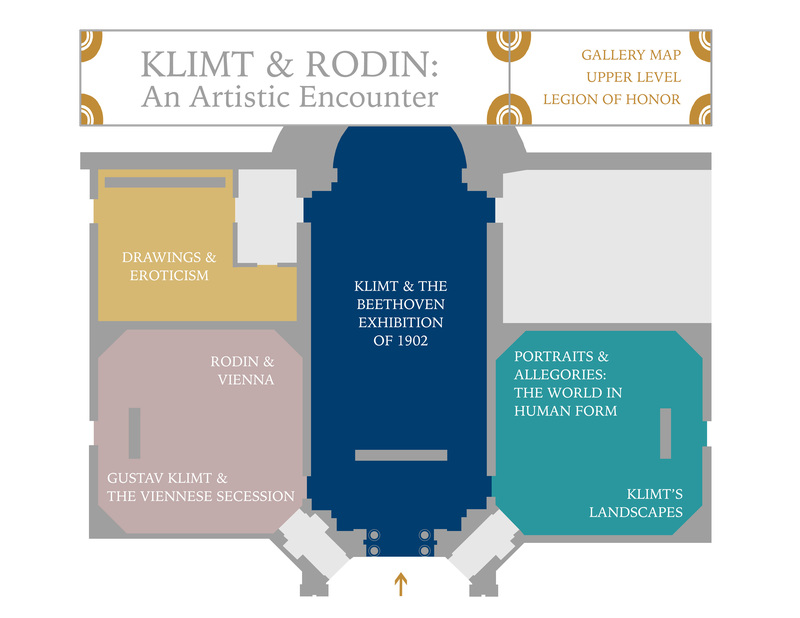 Marking the centenary of Auguste Rodin’s death in 1917 and that of Gustav Klimt in 1918, this exhibition examines the diverse connections between these artists and their impact upon the art world. Assembled here is information about the exhibition that you can use to plan your students’ experiences. One of the earliest, largest, and most important cities in the ancient Americas, Teotihuacan is now the most visited archaeological site in Mexico. 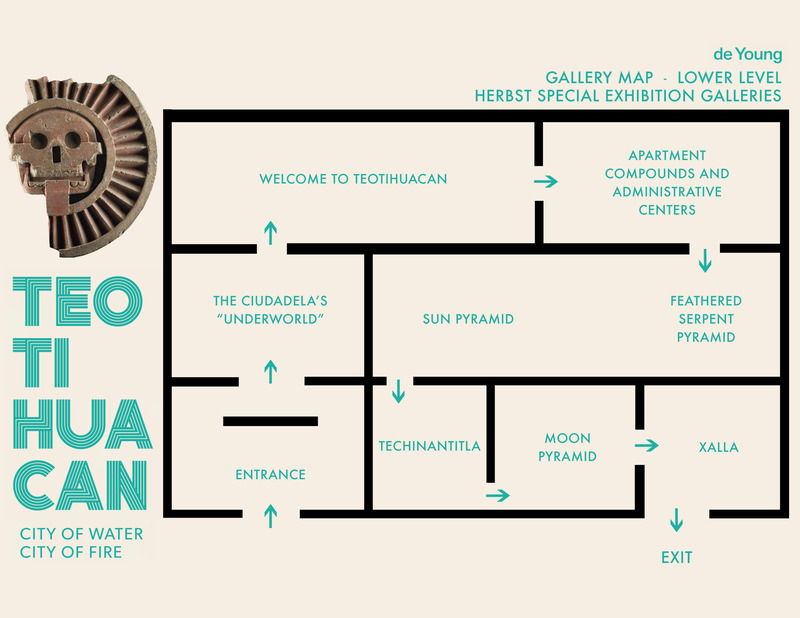 This exhibition features never-before-seen archaeological discoveries and explores how artifacts from the ancient city shape our understanding of Teotihuacan as an urban environment. 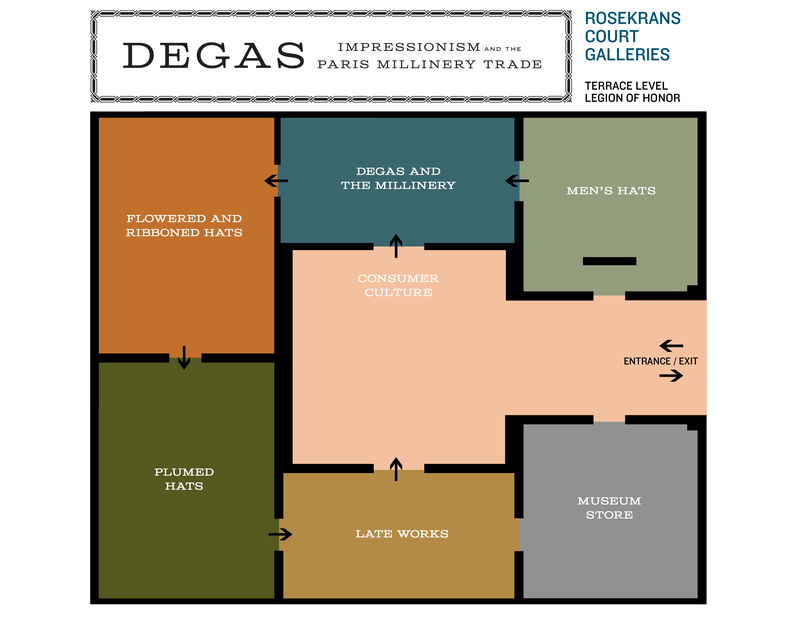 The information assembled here will help you prepare for an impactful museum visit. Classroom encounters with these images and topics will ready your students to look closely and create dialogues in the galleries. Degas, Impressionism, and the Paris Millinery Trade features approximately 40 Impressionist paintings and pastels as well as 40 examples of period hats. The exhibition will be the first to examine the height of the millinery trade in Paris, from around 1875 to 1914, as reflected in the work of the Impressionists. 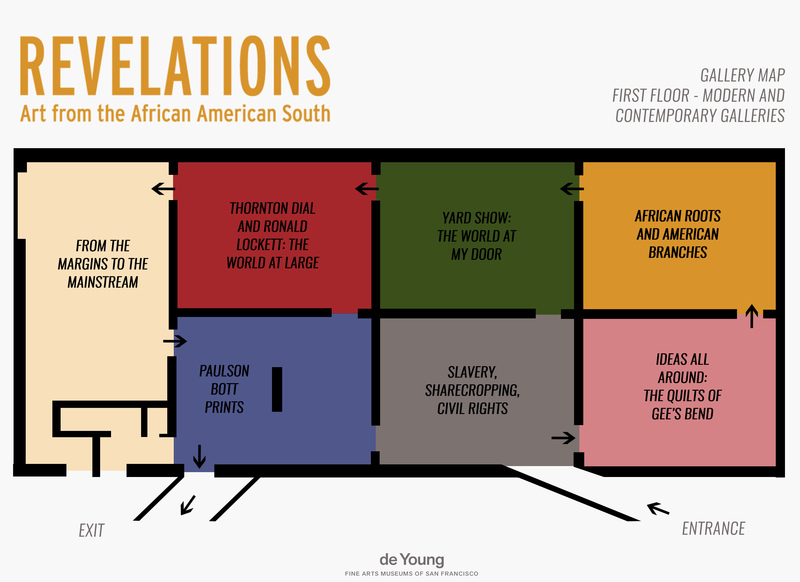 We hope that the information assembled here will help you prepare for an impactful museum visit. The enclosed materials are designed to inform your pre-visit teaching. This exhibition celebrates the debut of the Fine Arts Museums of San Francisco’s major acquisition from the Souls Grown Deep Foundation in Atlanta of sixty-two works by contemporary African American artists from the Southern United States. The resources assembled here will provide you and your students with tools for viewing the works in the exhibition. The materials are organized by two grade-appropriate themes. 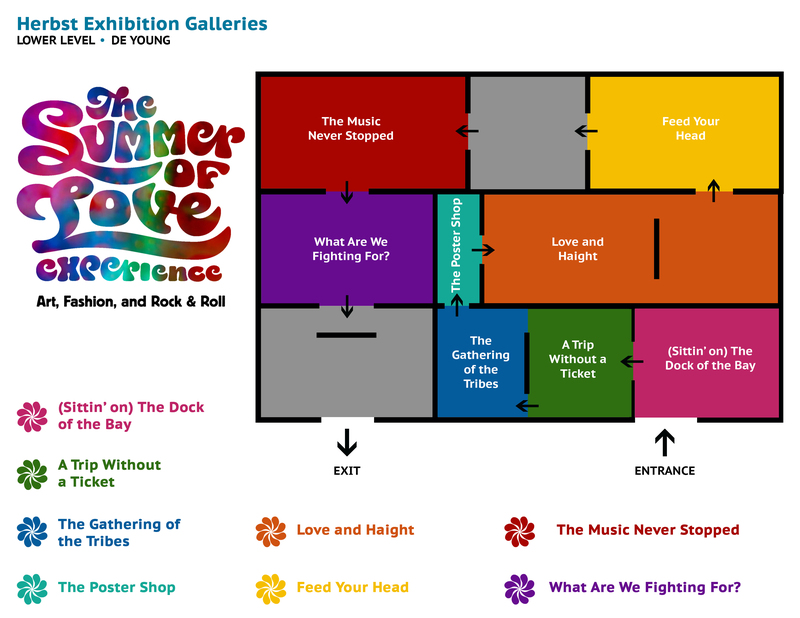 This exhibition is a 50th anniversary celebration of the adventurous and colorful counterculture that blossomed in the years surrounding the legendary San Francisco summer of 1967. Assembled here is information about the exhibition that you can use to plan your students’ experiences. This exhibition is the first major display in 20 years dedicated to Davis, a key figure in American modernism. Blurring distinctions between “high” and “low” art, between abstraction and figuration, and between text and imagery, these paintings reflect both the excitement and turbulence of the artist’s times. The resources assembled here will provide you and your 4-5, 6-8, 9-12 grade students with activities that encourage close looking and tools for interpreting abstraction. Monet: The Early Years will be the first major US exhibition devoted to the initial phase of Claude Monet’s (French, 1840–1926) career. Through approximately 60 paintings, the exhibition demonstrates the radical invention that marked the artist’s development during the formative years of 1858 to 1872. The K-2, 3-5, 9-12 grade lesson plans assembled here will provide you and your students with tools for viewing the progression of Monet’s career. Bringing together more than sixty oil paintings and watercolors from a host of international lenders, J. M. W. Turner: Painting Set Free is the first major exhibition devoted to Turner’s achievements during his final period of productivity, when some of his most iconic works were created. The resources assembled here will provide you and your students with tools to experiment with one of the media in which Turner most loved to work, watercolor. The assembled lessons offer K–12 students an opportunity to explore specific techniques that will deepen their viewing experiences at the museum. This selection of masterpieces allows your students an opportunity to see a diverse array of artworks spanning more than 400 years of art history, from some of the most renowned European and American artists. The resources assembled here will provide you and your students with tools for viewing the work in the exhibition. The curriculum for the exhibition Botticelli to Braque addresses the learning needs of grades K–3, 6–8, and 9–12. While these materials are written to support the visual and language arts standards of the intended grade levels, you may want to adapt them to meet the particular needs of your classroom. The critically acclaimed exhibition creates a narrative that explores the artist’s responses to nuclear disarmament, racial inequality, the excesses of capitalism, environmental degradation, and others issues of deep personal concern to the artist.The curriculum for the Keith Haring exhibition addresses the learning needs of grades 6-8 and 9-12. While these lessons are written to meet the developmental abilities of the intended students, we encourage you to read all the lessons as the information provided in each will deepen your understanding of the artist and his work. In this curriculum guide you will find three lesson plans, each geared for a specific grade range: K–5, 6–8, and 9–12. While these lessons are written to meet the developmental abilities of the intended students, we encourage you to read all the lessons as the information provided in each will deepen your understanding of the exhibition. This exhibition, featuring works that were once part of the collection of the Habsburg family, offers you and your students a unique opportunity study works from the Renaissance. The resources assembled here are designed to provide you and your students with ideas for viewing the exhibition and for conducting follow-up activities to expand the experience. For more information, visit the resources page. The resources assembled on this page are organized around three themes, each of which is directed at a specific grade range (K–2, 3–5 and 9–12) and aligns with California State Standards. While written to support the visual and language arts standards of the intended grade levels, please note that these materials may need additional adjustments to meet the needs of your classroom. For more information visit the resources page. In this curriculum guide you will find four lesson plans, each geared for a specific grade range: K–2, 3–5, 6–8, and 9–12. While these lessons are written to meet the developmental abilities of the intended students, we encourage you to read all the lessons as the information provided in each will deepen your understanding of the artist and his work. For more information visit the curriculum website. In this curriculum guide you will find two sets of lesson plans and additional resources with which students may explore the archaeological process, learn about the environment in which the Olmec lived, and analyze how the works of art document their culture. Fore more information visit the curriculum website. In this curriculum guide you will find lesson plans that help students discover the revolutionary nature of Post-Impressionist art work and artists through the language arts and visual arts. Fore more information visit the curriculum website. Explore the Highlands through a new collaborative program developed by the de Young Museum, the Conservatory of Flowers, and the California Academy of Sciences! For more information, please visit highlands.famsf.org.